Historic change provided the impetus: The simple kitchen garden evolved from the simple need people had to feed themselves. At one time virtually every cottage and country house in Britain contained a modest vegetable garden. In time, these gardens evolved in direct proportion to their owner’s personal wealth, for the more wealthy this extended to include feeding an extended household and to regularly entertaining house guests. 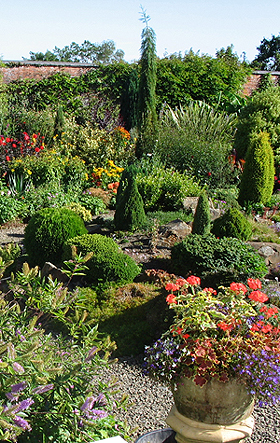 The period of greatest growth and change in gardening ran parallel with the growth of the British Empire which fuelled it, especially between 1800 and 1914. After 1914 there simply wasn’t the manpower or the economic resources and, in many places, even the desire to garden to quite the same extent as in the past. 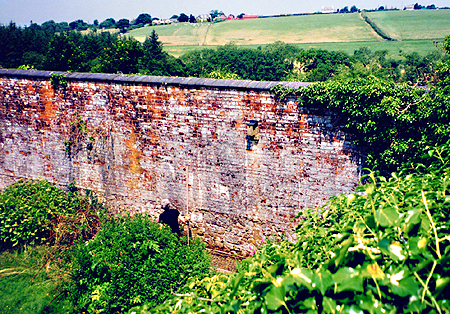 The growth of the Victorian walled garden coincided with a number of simultaneous social and economic developments after 1800. Following 1800 Britain experienced explosive economic growth and social change. This growth was fuelled by global exploration and the development of steam-driven commercial transport. No longer were the adventurous limited to the distance a horse could travel in one day, or the direction and speed of the prevailing oceanic winds. In short, the wealthy Victorian could personally finance men to gather any unusual and exotic plant they wished and they had the means to cultivate the plant upon its return despite the vagaries of the English weather. 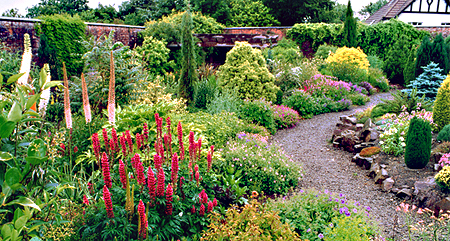 There were two types of Victorian walled garden, the most common was the walled vegetable garden; but the walled flower garden, such as the one at Winsford Walled Garden, was the second and the more unusual garden type. 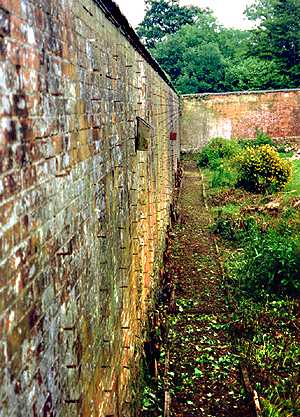 Why even have a walled garden? There is a common misconception that Victorian walled gardens were originally built to protect the plants from the weather. I do not believe this was the case and I shall explain why. Any wall can only offer protection to a maximum distance equal to about 1.5 - 2x the height of the wall. So, even for a 4m high wall the protection afforded would be just 8m in to the garden. On this basis, Victorian walled gardens designed to protect the plants within from the weather should be about 16m across! This was never the case. The reality was that the smallest walled garden extended to about 60m across and many were 200m or more across. Indeed in 1853, Queen Victoria ’s own walled garden at Windsor was 32 acres/8 hectares! 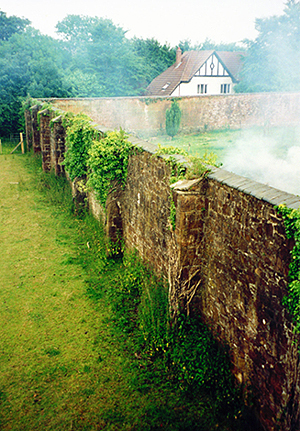 Yet, the royal walled garden was enclosed by a wall of just 3m high. 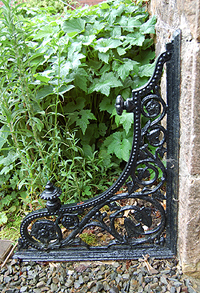 Obviously, wealthy Victorians went to the considerable expense of enclosing their gardens for another reason, and they did so to protect the valuable produce within the walls from theft. Remember, these extensive gardens were packed with expensively produced food and they were almost always located in the open countryside. The surrounding population was often poor and hungry, especially in winter, and without a wall, every estate garden was an open pantry. Furthermore, any walled enclosure is susceptible to swirling, tornado-like air currents within. This was our initial experience at Winsford and we found it highly damaging to those first plants we planted because, instead of simply passing through the garden, the wind would remain inside the walls doing its worst. 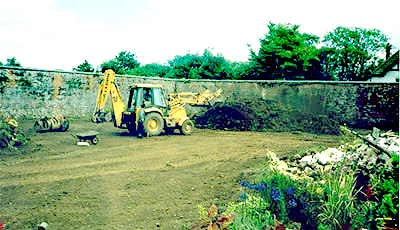 A walled vegetable garden contains plants which are generally low in stature which tends to aid "the tornado effect within." Having constructed the expensive walls, the pragmatic Victorian owner made full use of them. On walls facing towards the north it was quite common to grow espaliers of cool-loving plants such as blackberries, gooseberries, redcurrants, blackcurrants and cherries; while on east-facing walls apples, cherries and the hardier pear cultivars were often grown. Figs, plums and the warmer-loving pear and apple varieties could be happily grown upon the warmer west-facing wall. The hot south-facing wall was reserved for growing tomatoes, peaches, plums, apricots, nectarines and cherries. In 1845 the glass tax was abolished, three years later plate glass was invented, and three years after that the window tax was also abolished. As a result of these three events the cost of glass plummeted. Even today, there is obvious evidence in older houses where windows had previously been bricked up to reduce the owner’s exposure to the glass and window taxes. Window tax was payable on all properties with six or more windows. It was no coincidence that London ’s enormous Crystal Palace, which Joseph Paxton designed for the Great Exhibition, was built just six years after the abolition of glass tax (in 1851). 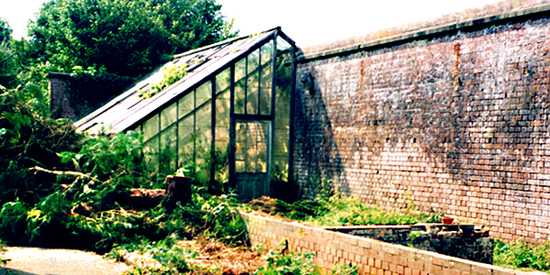 After 1845 the wealthy could afford to build large greenhouses against their south-facing garden walls. Northern England is built upon coal and this was the fuel of choice for every Victorian greenhouse. The later half of the nineteenth century also witnessed considerable boiler design improvements that lead to increased heating efficiency. A large, mid-nineteenth century boiler measuring 150x68x53cms cost £46 and was capable of heating 503m of 100mm diameter heating pipe. By comparison, a large, late-nineteenth century boiler could measure as much as 243x92x90cms, cost £95, yet was capable of heating 1540m of 100mm diameter heating pipe. 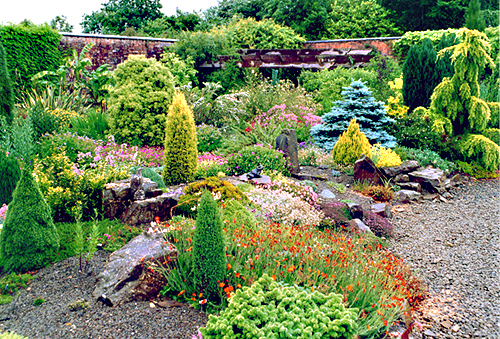 Between the 1880’s and 1912 the English walled garden reached its peak. Not only did the great estates employ hundreds of gardeners and contain huge growing areas under glass, but it was not uncommon for people of comparatively modest means (retired army officers, medical professionals and the clergy) to employ half a dozen gardeners to cultivate fresh vegetables, fruit and cut flowers under glass. Quite often such people had traveled extensively, seen exotic plants in the course of their work and now had the time and the means to enjoy exotic plants in their retirement. Specially designed greenhouses were available for chrysanthemums, carnations, and orchids. An orchid enthusiast would have at least two houses enabling the owner to cultivate both cool and hot house orchid varieties. Later, as the Victorians discovered the inherent beauty in the foliage of exotic plants from distant lands, they designed and built fabulous Foliage Houses. The Winter Garden was essentially a conservatory designed to provide a haven for evergreens and winter flowering plants. In the vegetable garden, the development of three-quarter span greenhouses enabled wealthy owners to cultivate early, mid and late season grapes of various kinds, both for the bottle and as fresh bunches to eat and to impress their peers at the dinner table. Today, we are so used to global transportation stocking our supermarkets, it is difficult for us to even imagine the effect on wealthy Victorians when they saw bunches of fresh fruit on the dining table in the middle of winter. 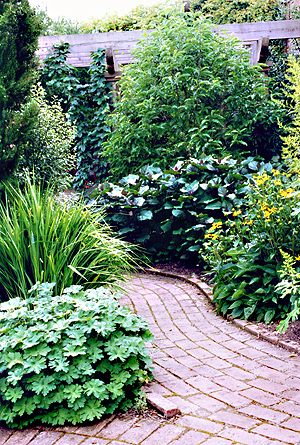 Just as a modern restaurant is judged by its Head Chef, so the Victorian walled garden was judged by its Head Gardener. As gardens evolved during the nineteenth century so did the knowledge and skills of the Head Gardener. His first task was to provide the kitchen with fresh fruit and vegetables throughout the year. The Head Gardener who could not only grow the ordinary with the exotic, but who could successfully store the garden’s produce so that the owner and his guests might enjoy out-of-season fruit and vegetables just as they might be enjoyed in the summer, was highly valued. Head hunting is not a modern corporate phenomenon, wealthy Victorians were certainly not averse to tempting a valued Head Gardener away from one estate to their own. Throughout the nineteenth century the fledgling horticultural industry developed at a tremendous rate to keep up with the England's interest in gardening. Garden magazines, plant nurseries and tool manufacturers all provided for the insatiable appetite of the gardening public just as it does today. Garden tools were developed to make gardening easier. Some garden tools, such as spades, forks, wheelbarrows and secateurs have barely changed in a 100 years; while others such as the lawnmower have developed a great deal. The original lawnmower looked as though it could lay a tarmac road when compared to the sleek, compact modern machines of today. Many Victorian garden tool designs did prove totally unwieldy and impractical and were thus condemned to bygone dustbins. What examples do remain in museums today, provide a curious and often humorous insight to a previous age. Visitors to Winsford's greenhouses often remark how wonderful it would have been to work in the fabulous greenhouses during Victorian times. This somewhat romantic illusion of our contemporary garden visitors to Winsford Walled Garden is based largely upon their idea of working in a heated greenhouse through the cold English winter. But in the Victorian era there was no such thing as "Health & Safety at Work" as there is today. There was little, if indeed any, research into the dangers of using lead paint, working with lead-lined tools and the use of the common pesticides and insecticides of the period. Just imagine regularly spraying your greenhouse plants with arsenic, without even a protective face mask. No wonder the greenhouse staff of the Victorian era rarely reached thirty-five years of age.